The City of University Heights is planning a community garden near the intersection of Taylor Road and Washington Blvd. (41.50300°N, 81.55558°W). 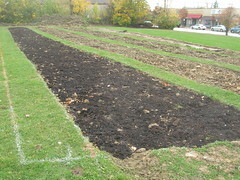 The City plans to make plots available in the Spring of 2011 on a first-come-first-serve basis by calling 216-321-7800 ext. 203. University Heights residents will have priority in access to garden plots. A community garden being developed in University Heights near the intersection of Taylor Road and Washington Blvd. (41.50300°N, 81.55558°W) for Spring, 2011. Plots will be available on a first-come-first-serve basis by calling 216-321-7800 ext. 203. University Heights residents will have priority in access to garden plots.